LONG BEACH, Calif. and SUWANEE, Ga., Feb. 11 /PRNewswire/ -- Epson America Inc., the number-one selling projector brand worldwide(1), and PolyVision, that recently introduced eno(TM), the world's most advanced interactive whiteboard, today announced the donation of 10 new Epson PowerLite(R) W6 multimedia projectors and 10 new eno interactive whiteboards to the Florida Digital Educator Program's Master Digital Educators. The Master Digital Educators will use the Epson PowerLite W6 multimedia projectors and PolyVision eno interactive whiteboards to showcase the importance of integrating interactive learning technologies to enhance students' classroom experiences. This innovative mentor-program is an extension of the Florida Digital Educator (FDE) Program, allowing educators with extensive technology experience to train other peers on how to best provide the technology skills necessary to launch Florida's students into the digital age. The FDE supports the use of technology across the state's K-12 curricula through collaborative experiences with new technologies and digital tools. "The Florida Department of Education's FDE Program at the Florida Center for Instructional Technology (FCIT) is always looking for the most advanced products to integrate into the program, and we are thankful that two companies like Epson and PolyVision are allowing our trainers to do just that," said G. Gordon Worley, Learning and Development Facilitator at FCIT. "Epson and PolyVision are both leaders in their industries, and with their help, the FDE Program will be able to ensure that educators are using this technology to transform learning and ultimately empower students to succeed in the global community." The Epson PowerLite W6 projector ($799 estimated street price) offers WXGA resolution (16:10 aspect ratio), allowing educators to future proof their classrooms as they begin to invest in widescreen laptops to accurately display widescreen content. The projector also offers USB video, VGA video and HDMI connectivity for high-definition quality video and digital audio through its 7W speaker, as well as simplified projection through USB Plug n' Project connectivity for quick projection on-the-spot. In addition, the PowerLite W6 offers 2,000 lumens white light output and 2,000 lumens color light output(2) for outstanding color performance. It also features Epson's exclusive E-TORL(R) technology for increased energy efficiency and cost savings over time. 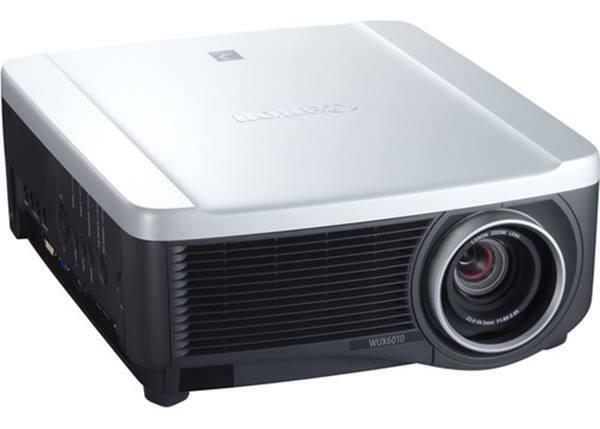 Lamps used within Epson projectors that incorporate E-TORL offer more lumens (brightness) per watt than lamps used with competitive projection technology offering similar lumens specification. Using E-TORL, lamp life can last up to 4000 hours(3) in economy mode(up to 50 percent longer than competitively priced models), and replacement E-TORL lamps cost up to $150 less than competing replacement lamps. "Epson is pleased to support the Florida Digital Educator Program, as its promotion of technology in the classroom will invoke excitement and imagination with both students and teachers," said Daniel Oey, group product manager, Epson America. "We are committed to the education market and strongly believe that technology facilitates learning. We continually help educators select and implement the most ideal products to meet their needs, reduce long-term costs and maximize technology budgets through Epson's Brighter Futures Program." eno is a revolutionary new interactive whiteboard that combines the simplicity and ease of a traditional whiteboard surface with interactive performance--all without cords, cables or costly installation. The virtually indestructible dry-erase workhorse is built with 50 years of classroom experience and features an e(3) environmental ceramicsteel(TM) surface with Cradle to Cradle(SM) Silver certification. A technological breakthrough, eno delivers interactivity via an innovative Bluetooth(R) stylus and requires no hard connections to power or data, no special training for teachers or students. eno is the first three-in-one interactive whiteboard solution -- dry-erase marker, magnetic and multimedia -- giving teachers a flexible, versatile tool that keeps pace with the demands of today's students. It delivers true interactive performance, engaging today's students with high-tech multimedia, multisensory, multidimensional lessons. "PolyVision is proud to support the Florida Digital Educator Program and its statewide initiative to transform instruction throughout all school districts in Florida," said Scott Campbell, PolyVision Vice President of Sales. "We look forward to working together with the Florida Digital Educator Program and Epson to further enhance how 21st Century teachers teach and students learn." Epson offers an extensive array of award-winning image capture and image output products for the consumer, photographic, business and graphic arts markets. The company is also a leading supplier of value-added point-of-sale (POS) printers and transaction terminals for the retail market. Founded in 1975, Epson America Inc. is the U.S. affiliate of Japan-based Seiko Epson Corporation, a global manufacturer and supplier of high-quality technology products that meet customer demands for increased functionality, compactness, systems integration and energy efficiency. Epson America Inc. is headquartered in Long Beach, Calif.
PolyVision integrates time-tested tools with innovative technologies to bring learning to life. From environmentally certified writing surfaces to industry-leading interactive whiteboards, PolyVision solutions help people learn and collaborate in a connected world. Since 1954, PolyVision has inspired educators, students and workers to be more productive and creative by providing the most effective tools we can imagine and create. Visit www.PolyVision.com. Epson and E-TORL are registered trademarks of Seiko Epson Corporation. PowerLite is a registered trademark of Epson America Inc. All other product and brand names are trademarks and/or registered trademarks of their respective companies. 1. Based upon Q4 2008 worldwide front projection market share estimates from Pacific Media Associates. 2. Light output varies depending upon modes (color and brightness) selected. 3. Lamp life results will vary depending upon mode selected, environmental conditions and usage. Lamp brightness decreases over time.